It is not impossible to imagine for the interpretation of the world other decipherments, other schedules than those to which we had done so far full trust. What’ you’re submitting to me as a truth and that I more modestly consider as visions appears to me. I couldn’t have thought of it through the voices of reason only. 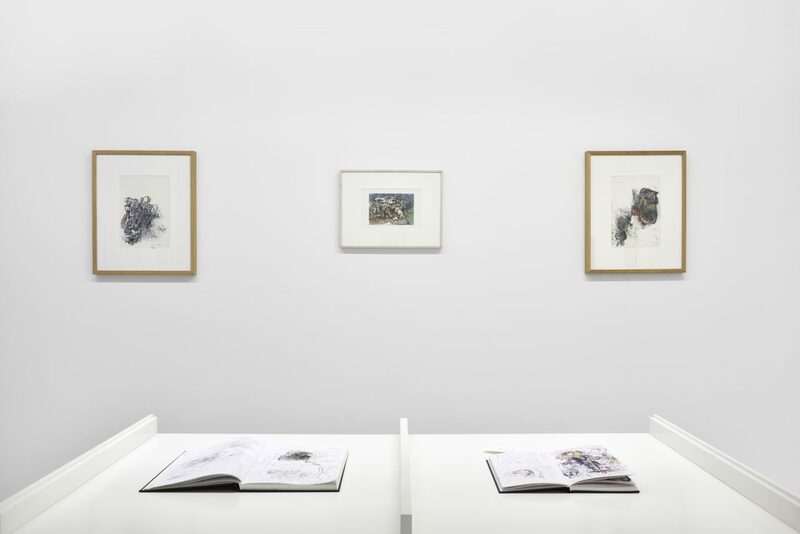 Gathering the works of both Jean Dubuffet and Jean-Olivier Hucleux could be seen as surprising at first to those who aren’t familiar with certain aspects of the work of both of these artists. Because beyond the works of the 1940’s and 50’s of one and the hyper-realist portraits of the other, both of these artists felt, towards the end of their life, the desire to explore new spaces, notably a mental space. 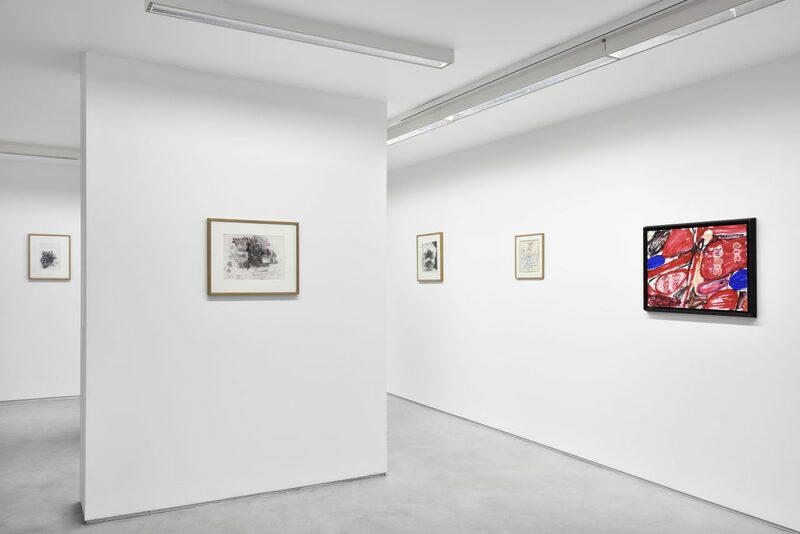 Thus, it is unsettling to compare the entanglements of Dubuffet’s « cabinet logologique », « Hourloupe » or « Non-lieux » series with Hucleux’s « Déprogrammations » drawings he started working on towards the end of the 1980’s. Deprogramming ! Such is the keyword that unites both of these artists’ approach. For Dubuffet, it is mainly a matter of cultural deprogramming. Cute loose from the schemes of this « asphyxiating culture » in order to better explore new territories. 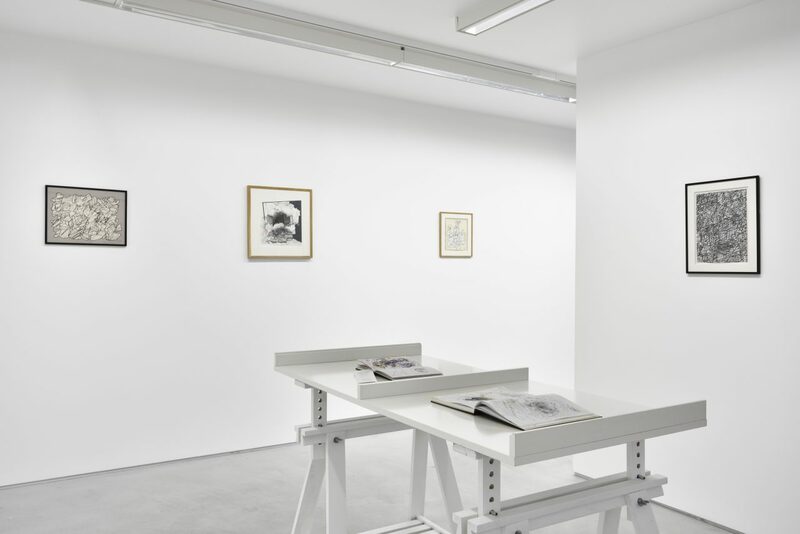 For Hucleux, the practice of the « Déprogrammations » drawings is parallel to the hyper-realist portraits, as both are done at the same time. They can be seen as a sort of mental rejuvenation. An initiatory approach in a way where, to better walk on the « path », one needs to dispossess oneself from everything one knows : dispossess oneself of one’s own legacy in order to find amidst an informal but deeply organized magma « something that resembles a vision » (cf. Hucleux). For both of them, it comes through the lack of a subject. « There are, in all of my paintings, two adverse winds that blow, one pushing me to stress the traces of the intervention, the other, on the contrary, encouraging me to erase any human presence… and drench my thirst at the source of absence » Dubuffet said. Deprogramming, in order to reach, beyond reasoning, a form of oblivion, of non-knowledge. 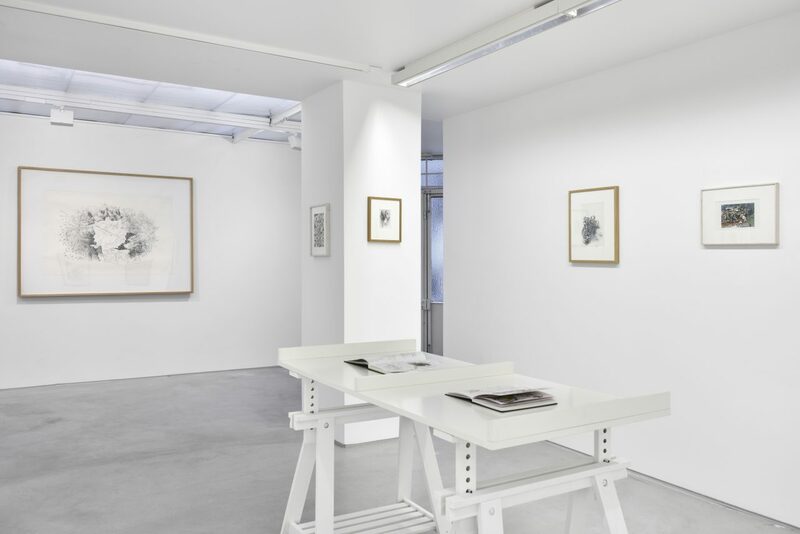 ‘Déprogrammations’ Jean DUBUFFET – Jean-Olivier HUCLEUX, Installation view at Galerie Christophe Gaillard, Paris, 2018.